The popularity of Palawan’s underwater caves has led to thousands of explorations and one would think that Philippine’s last frontier has the monopoly of caves in the country. 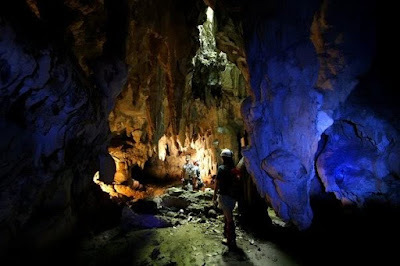 The truth is that there are other fascinating caves in the archipelago and Mindanao alone has more than 400 caves to offer when it comes to caving as an outdoor or recreational activity or as a pastime. Some of these caves are situated inland, or in an island, and quite a number of them can be found within the city as well. 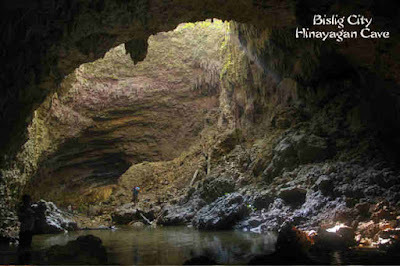 So, if you plan to visit any area in Mindanao, here are some caves that you should be aware of and take time to visit. Located in Cagayan de Oro City, an urban city in Misamis Oriental, this cave has historical significance as it is the site of one of the very few battles where Filipinos won against the American soldiers during the Philippines-America War which occurred at the turn of 20th Century. It is a scenic cave that is home to a bat colony and has become a huge tourist attraction in the city. 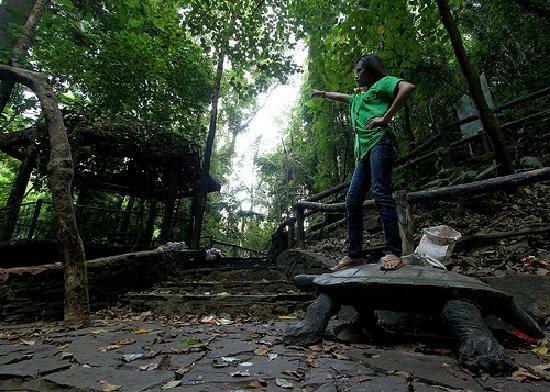 It has a veranda at one end corner of the cave that overlooks the Cagayan De Oro River. The cave has now been restructured to accommodate comfortable pathways and scenic trails. The best part of this cave is that you can enter it at one end and exits at the other end; thus, it is called as “thru” cave. Silop Caving activity has one of the most organized caving trips that you will find in Mindanao. Here’s how it goes. First, you need to go to the barangay center in order to register and be outfitted with proper spelunking or caving gears like a helmet, gloves, and a headlamp. Second, guests will be very confident to undertake activities as the barangay center will provide a tour guide who is trained by the Department of Tourism to conduct such activity. The caving activity begins with a 15 minute walk from the barangay center and climb at 110 concrete steps to enter Cave 1. There are 6 caves to exlore in Silop Caves. Cave 1 is a bat colony is deemed to be unsafe for tourists. Cave 2 has plenty of headroom and has a very wide expanse and with generous caverns; thus, tourists won’t feel claustrophobic. Cave 3 is for more experienced spelunkers. Cave 6 remains unexplored. 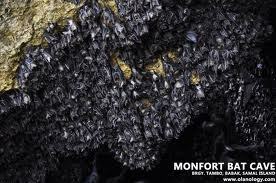 Many Filipinos, especially those in nearby Davao provinces do not know that Samal Island is not only pure sun, sea, and sand; it is also home to at least 70 caves and one of which is listed in the Guinness Book of World Records as host to the largest colony of fruit bats in the whole planet; the Monfort Cave. According to estimates, there are at least 1.8 millions of fruit bats living inside the cave; thus, it is forbidden to enter. Instead, there are bamboo railings where one can see bats inside the cave. 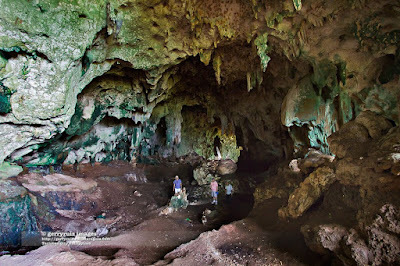 Monfort Cave is located in Barangay Tambo and lies inside the property of the Monforts; hence, the name. You can reach the Island Garden of Samal via Davao City and travel to kilometer 11 aboard a ferry which carries vehicles and walk in passengers as well. This surfing haven is also home to one of the most exciting caves in the country. Those who have already visited this cave proclaimed that the area leading to the cave is one of the most virginal they have encountered; simply untouched by human exploitation. 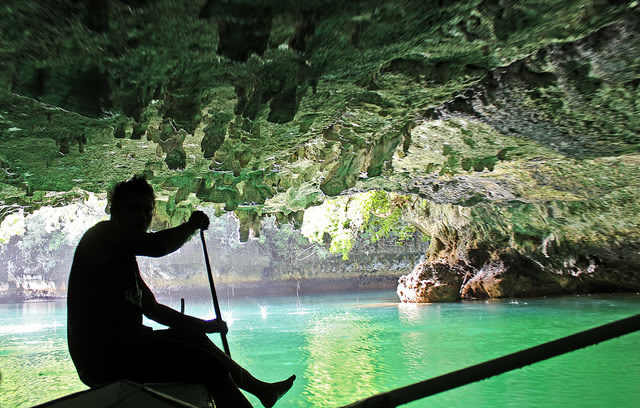 For beginners, the trip leading to this cave might be tedious as one has to travel for at least two hours from Surigao City to go to Hayanggabon port and ride a banca to Sohoton Cove National Park which adds an additional over an hour trip. There are other alternate routes but just the same, it will take tourists lots of time to reach the cave. It's most interesting feature is its labyrinth like caves which are usually made of limestone rocks. It is a actually a series of rocks with numerous caves and stalactites, crystal waters, bats, and wild orchids awaits tourists. If you want an easy to moderate challenge when it comes to outdoor caving activities, this is the site for you - Blue Water cave in Quezon, Bukidnon located in between Cagayan de Oro City and Davao City. Travel time in either city will take you at least 3 hours to reach the municipality of Quezon in Bukidnon. The trail leading to the caves start with very narrow dirt trails and climbing a steep path with the help of a rope line in order to descend to a rocky river bank where the trek to Blue Water Cave begins. You will see white rocks and limestone walls. Inside the cave reside chambers filled natural blue pool. It is best to visit the caves when it is not raining as the path inside and outside the cave becomes impossible to tread. This cave is famous both locally and internationally despite the fact that it is located in one of areas in Mindanao perceived to be a high security risk. It is known for its majestic stalagmites, stalactites, and helictites and one of a kind rock formations. There were also ancient burial jars discovered in this cave. It has a multi-cave formation and there are still a number of caves waiting to be discovered. It is noted for having two cathedral like chambers; one is 300 meters and the other one has 500 meters in terms of length. It is located 20 km. away from the Lagbasan barangay hall. You can reach Sultan Kudarat from Davao City and take a private van to reach the place. You may also follow the Cotabato City route and take a private van to reach Lagbasan. If you think that living in far flung provinces like Manukan, Zamboanga del Norte is dull and boring, think again. With its vibrant tropical weather, it is a good place for caving trips. 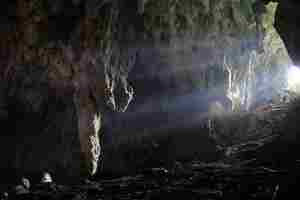 Liboton Cave is one place where your penchant for challenge will be put to the test. It is located 7 kilometers away from the Liboton proper and is composed of 7 interconnecting caves; however, only three are open for the public to explore. Just like some of the more popular caves in the Philippines, Liboton cave has majestic stalagmites which remain untouched. You will see frozen stalactites and makes you want to eat it like frozen popsicles. Following the path of the light shooting from the entrance hole of the cavern located at the top will reveal a tower made of calcite just below the cave floor. The municipality of Manukan is just 38 kms. 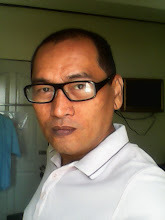 away from Dipolog City or less than an hour travel time using private van or vehicle. It is quite near Surigao City as it is just 15 kilometers away from the city proper. This cave has majestic interior as it has cathedral-like inner caverns and full of amazing stalactites which looks like chandeliers hanging from the roof of the cave and comes in different shapes, sizes, and even colors. To reach the cave, one must travel by hiring a pedicab which is the mode of transportation. From the barangay, one has to walk in order to reach the cave. 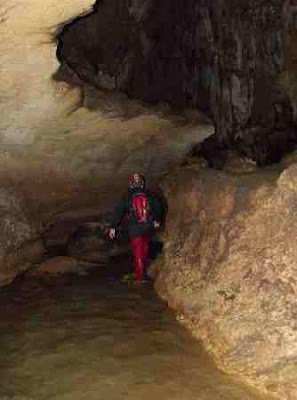 The path is very narrow and even the entrance to the cave is quite small. 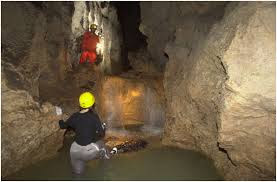 The cave is open to the public but visitors should register first, rent caving equipment and hire a tour guide. Surigao City has a domestic airport or you can follow an alternate route that is via Butuan which is 2 hours bus ride or via Davao City which is 10 hours on a bus ride. 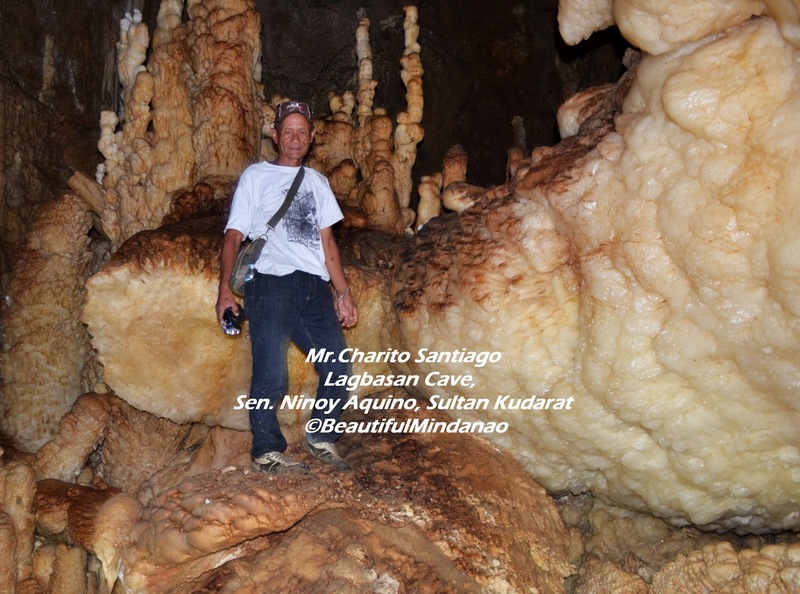 If you thought that caves are found in the outskirts, think again and be amazed with this cave in Cotabato City. 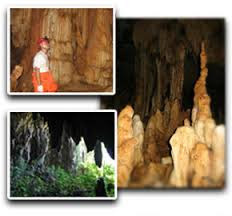 Kutawato Caves sit just right in the heart of Cotabato City. Its many different entrances are found in various sites of the city and all within traffic perimeters which is quite rare when you talk about caves. 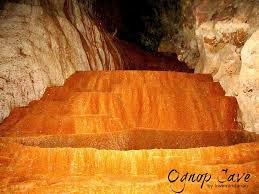 Kutawato is the source of the name Cotabato City as “kuta” means fort and “wato” means stone. Kutawato Caves are made of white walls with brownish and beige shade that totally glitters in the dark. It was a sanctuary for the natives of Cotabato during the Spanish occupation and was a garrison as well as a torture chamber during the Japanese occupation. · Provincial Capitol Cave – located at the back of the said building and offers a descending plight of steps, amazing display of stalagmites and stalactites, and impressive mineral and rock formations. 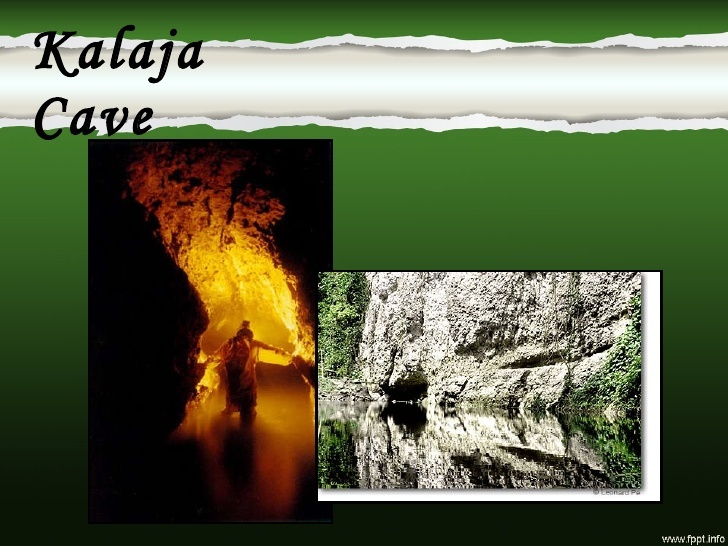 · Bagua Cave – which is located at San Vicente Street and has salty spring water flowing along the length of the cave. · Caverna Espanol – it is more like a dungeon and was a jailhouse during Japanese occupation. · Kweba ni Satur – which is located at PC hills and has an L formation. It has two entrances can be accessed by clinging to a rope and then scale another plight of stairs. Cotabato has direct flights from Manila and can be reached via Davao City which is a 6 hour bus ride and through General Santos City which is a 5 hour bus ride. This cave was just newly discovered and is recognized by the municipal government of Prosperidad as a potential tourist attraction. It was discovered through the combined efforts of local mountaineers headed by Arnel Pasilan and local residents. 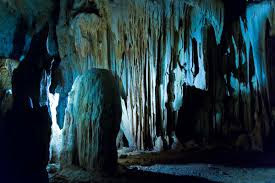 Since this is still new, according to Mr.Pasilan, they noted unique creatures; however, local government is still controlling the public to visit the cave as scientific studies of the flora and fauna of the caves are still undergoing. According to local residents, the water inside the cave has healing properties. In order to reach it, one has to travel on foot for 3 hours and set up a camp in the Ognop Tribal Filipino Community School first as the whole of Ognop is considered an ancestral domain of the Manobos for generations now. The city of Prosperidad can be reached via Butuan which is less than 2 hours ride by bus or from Davao City which will take you 3 hours by bus. This cave is located in Mawab, Davao del Norte which is just less than an hour ride from Tagum City while the latter can be reached via Davao City also at less than an hour travel time. 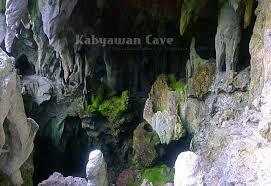 Mahayahay Cave is just 7 kilometers from the barangay proper and only 2 kms. away from the highway. You have to coordinate with the barangay officials if you want to trek to this cave. This cave was considered to be the last bastion of the Japanese Imperial Army when they occupied the Philippines during World War II. You can reach the cave by travelling to Barangay Conel which is just 15 kilometers away from the northeast side of General Santos City. The barangay is surrounded with tower like karst topography. On the opposite side of the site, is the camping ground which offers a majestic view of the entire General Santos City and the serene Sarangani Bay. It is quite a challenge to trek going to this cave as one needs to pass and cross some rivers then jump and walk over large stones. There are ten caves to discover to see history right before eyes. Here’s another cave which is just a few kilometers away from downtown proper; 14 kilometers to be exact. From barangay Ditoray proper, Kendis cave is just 5 kilometers away and offers lush plant and vegetation. It is an open ended cave with huge overhead crevices and with interior chambers at that. Pagadian City has direct flights from Manila and can be reached via Zamboanga City which is 10 hour bus ride or from Cagayan de Oro City which is at least 5 hours on a bus ride. To reach this scenic and one of the must see spots in Iligan City, one has to travel from Cagayan de Oro City by bus or private vehicle for not less than 2 hours. From Iligan City, you need to ride for an additional hour to reach Barangay Hindang which is a hinterland and proceed by foot for an uphill trek which accommodates 2-3 hours travel time. The trail is suitable for experienced trekkers only and of course those in good physical condition. It is a challenge indeed but you will be rewarded with excellent scenes and views considering that the cave is situated between 600-700 feet above ground level. Like many of the caves in Mindanao, Kabyawan Cave hosts a large colony of small fruit bats which is called “kabyaw” in local terminology. One of the most arresting features of this cave is that it has a very large entrance hole. 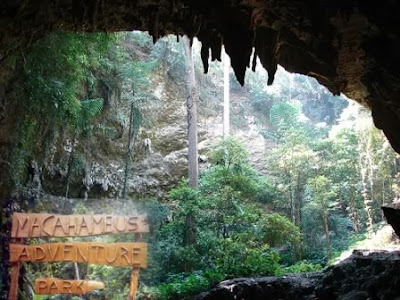 Only the entrance portion is challenging but once you get inside, the passages are easy to trek but you have to wade waist deep on the watercourses found inside the cave. Inside, you will see huge chambers filled with the usual stalagmites and stalactites. Because it is home to a colony of bats, the trail inside can be dangerous due to bat droppings. You can reach San Isidro, Davao Oriental by bus or private vehicle with an estimated travel time of 2 and ½ hours from Davao City. Previously, it was called Sihoton Cave but when local authorities discovered that there are other caves with that name, they changed the name to Hinayagan Caves to avoid confusion. It is located 4.7 kilometer away from the main road; and from downtown Bislig City, it is 9 kilometers far. You need a 10 minute trail walk from the main barangay road to reach this cave. There are two caves actually and each has different features. The first cave is 100 meters in length and has a miniature falls with sunlight coming from the middle ceiling of the cave which is the entry and exit point of birds and other winged animals. It has an underground river with swimming area of 50 meters wide that connects to the entry point of the second cave. The second cave has waterfalls at the middle section and is 1800 meters long. There are actually 9 entry points leading to this second cave. Aningaw is a Manobo term that means echo because when someone talks, the voice will echo as a result of the tower like rock formations which surrounds the cave. From the outside, the cave looks like a gothic architecture while inside, you will see huge chambers filled with stalactites and stalagmites. There are several chambers and one of which host a bat colony and the ground is literally paved with bats manure. The ceiling is quite interesting as it is made of solid rock and shaped like a panel with holes which serve as incubator for baby bats. 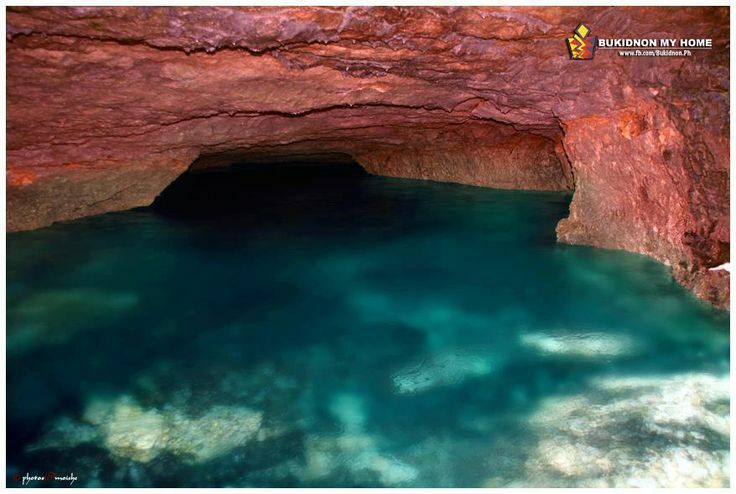 Aningaw cave is half an hectare in terms of size and there are still unexplored chambers. 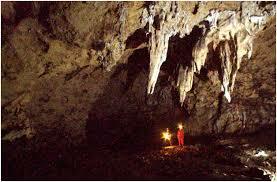 The cave is a sacred place among the Manobo natives. San Francisco Agusan del Sur is less than 100 kms away from Butuan City and 223 kilometers away from Davao City. This province is famous during the 80’s when it comes to caving or potholing and one of its attraction is Cuyapnit Cave in the municipality of Gigaquit. You have to cross the Baoy River to reach this municipality. Over the northern part of the river bank, you will find the cave. It is a challenge to enter it as you have to enter through the roof. Once you reach the cave grounds, it is even more challenging as one has to navigate against large rocks and boulders. Fortunately, there is yet to be found a significant population of bats in the cave. Once you are inside, you will be treated with images of stalactites and stalagmites, flow stones, and draperies. Gigaquit is less than 50 kilometers away from Surigao City and the city is 120 kilometers away from Butuan City and 407 kilometers away from Davao City. Surigao City has also direct flights from Manila. Lagundang Cave is noted for its waterfalls which locals call the “mini-Niagara falls.” Inside the cave, you will find several ponds and wonders of nature. You will find crabs and different fishes inside and makes you wonder how the fish got in there considering that the only entrance to the cave is a vertical drop. The cave and its surrounding perimeter is a popular site among treasure hunters. The scaling rock formation is very inviting and rapeling addicts will surely be excited to climb to it. Sumilao, Bukidnon is an hour drive away from Cagayan de Oro City and is a mountainous trek. The most fascinating feature of this cave is its very huge chambers and tunnel like entrance and some portions where spelunkers will have to submerge into ponds of waters to get a better view of the interiors of the cave. 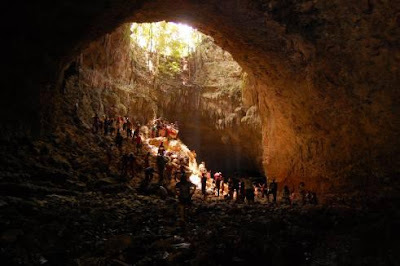 In similar fashion with some of the famous caves in Mindanao, this one is also home to fruit bats. Inside the cave, you will be treated to wondrous arrangements of stalactites and stalagmites. 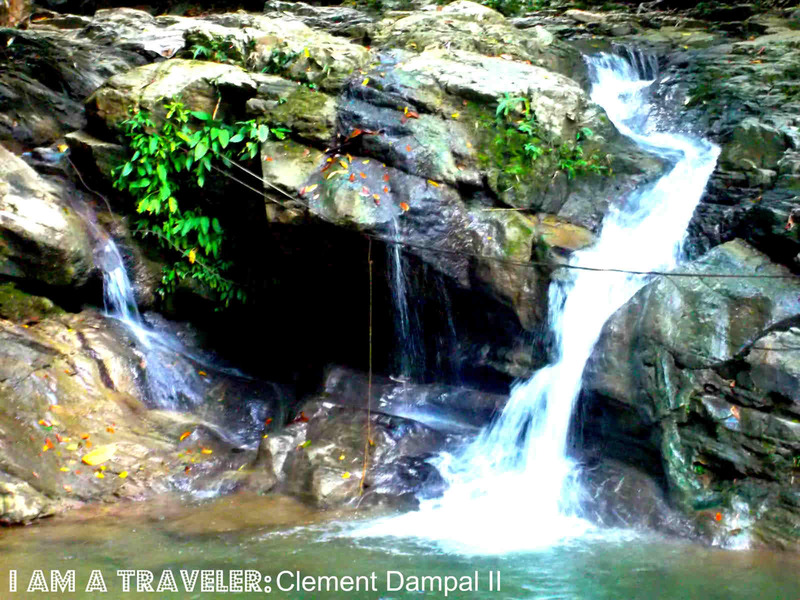 To reach the cave, you need to travel to Monkayo which is less than two hours ride from Davao City. From Monkayo proper, take a ride going to Kumbilan but first you have to alight at the barangay hall to register and coordinate with a tour guide. So, the next time you visit any place in Mindanao, take time to discover these amazing caves. You will learn a thing or two about history or nature itself or just plain enjoyment for yourself and also see if you are up to some challenges. And when you do have time to discover any of these potholes, please arm yourself with safety measures as you will never know what dangers may happen once inside the caves.